Looking for a New Mercedes-Benz S-Class in your area? CarGurus has 389 nationwide Mercedes-Benz S-Class dealers with 3,459 new car listings. A perennial industry leader in technology and comfort, the Mercedes-Benz S-Class enters 2018 with a host of new updates. It’s still technically the same design introduced for 2014, but the changes to the latest model are both numerous and significant and include three new engines. Visually, however, the S-Class looks largely identical to last year’s model, with minor tweaks to the bumpers and a new grille. For now, only the sedan variant is available, but the cabriolet, coupe, and hybrid versions shouldn’t be too far behind. 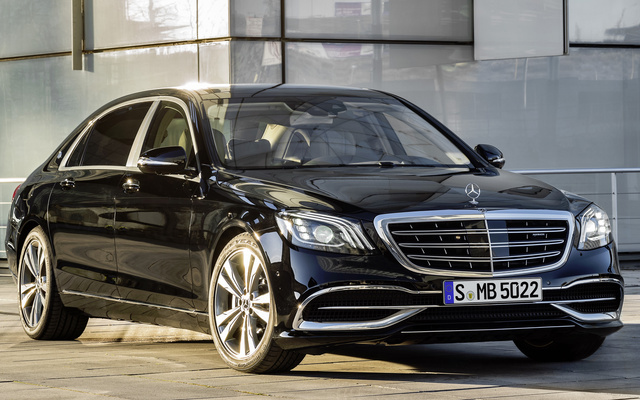 With new powertrains come new S-Class trim designations, starting with the base S450. Powered by a twin-turbo 3.0-liter V6 engine, it makes 362 hp and 369 lb-ft of torque. Next up is the S560 with a twin-turbo 4.0-liter V8 good for 463 hp and 516 lb-ft. The S63 AMG receives a hotter version of that same 4.0-liter V8 with a boosted output of 603 hp and 664 lb-ft. Purists will be glad to hear that a big V12 is still available for the S65 AMG, which is powered by a twin-turbo 6.0-liter unit that makes 621 hp and a tire-shredding 738 lb-ft. A 9-speed automatic transmission is standard on all trims except the S65 AMG, which gets a beefy 7-speed automatic with paddle shifters. While not necessarily agile machines, the S-Class full-size luxury cars are absolute monsters in a straight line when equipped with the hotter AMG engines. The S63 AMG will reportedly hit 60 mph in 3.4 seconds—and when it comes to tearing down the Autobahn, few can keep up with the V12-powered S65 AMG. Heavy cars with powerful engines are of course going to be thirsty, but fuel economy isn’t as abysmal as one might think. EPA figures aren’t out yet for the new engine range, but last year’s S550 got 18 mpg city, 26 highway, and 21 combined, and the new S560 should best that. 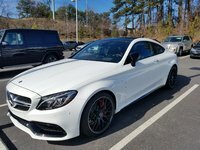 The S63 AMG should also do better than the 15, 23, and 18 achieved by last year’s model, while the S65 AMG will likely get numbers similar to the 2017 model’s 13, 22, and 16. The base suspension for the 2018 S-Class has air springs with adaptive dampers to ensure a pillow-smooth ride. AMG models receive a slightly sportier version of the same air suspension as well as a lighter battery, 20-inch forged alloy wheels, bigger brakes, and speed-sensitive steering. For body lean in the corners, the suspension can be tweaked with Mercedes’ available Magic Body Control system, which comes with steel springs and active hydraulics. Included with Magic Body Control is a new curve tilting function, which actually tilts the car inward during a turn to reduce the centrifugal force felt for flatter cornering. For decades, the S-Class has been known for having one of the best, most high-tech interiors in the business, thanks to regularly updated styling and convenience features. The newly available Energizing Comfort system ties together the controls for the cabin’s climate system, the seat temperature and massager function, the ambient lighting, the stereo, and even the fragrance diffusion system. It offers several different preset modes with names like “Joy” and “Vitality” for maximum comfort and relaxation. As for the S-Class’s interior fit and finish, supple leather upholstery is a given, as is generous interior space front and back. Various wood trims are available, as are carbon fiber and additional leather. The S-Class comes standard with USB connectivity, an SD card slot, ambient lighting, navigation, and dual 12.3-inch displays for the infotainment system and cockpit. Options include massaging seats, a 24-speaker Burmester 3D Surround Sound stereo, a panoramic sunroof, a head-up display, a rear entertainment system with screens in the backs of the front seats, a rear-seat refrigerator, fold-out footrests for the back seats, and heated armrests. AMG models add sport seats and an AMG steering wheel. Just as the S-Class has long been an industry leader in comfort, so too has it been an industry leader in safety—especially when it comes to cutting-edge technology. The 2018 model features updates to the Intelligent Drive autonomous driving system, which can brake, steer, and accelerate on its own. It comes with forward-collision warning with automatic emergency braking, active lane control, blind-spot monitoring, and adaptive cruise control with following and steering capabilities. The cameras and radar have also all been improved for 2018. What's your take on the 2018 Mercedes-Benz S-Class? 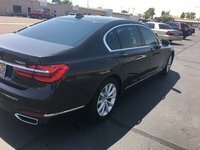 Users ranked 2018 Mercedes-Benz S-Class against other cars which they drove/owned. Each ranking was based on 9 categories. Here is the summary of top rankings. Have you driven a 2018 Mercedes-Benz S-Class? Enter your zip to see incentives for a new S-Class in your area.